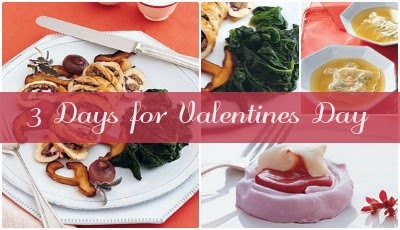 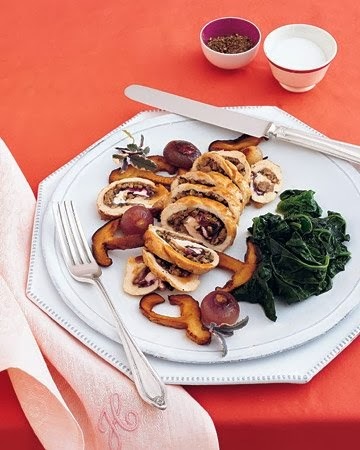 Skip the crowded restaurant this year, and make your own cozy Valentine's Day dinner at home. 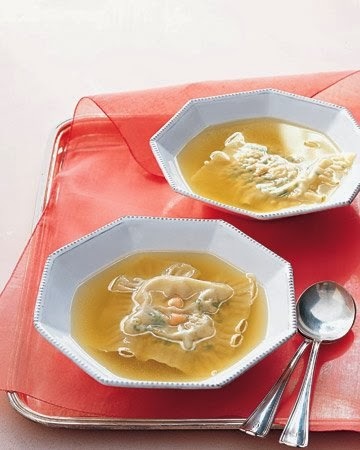 Wonton wrappers stand in for homemade pasta, and a whole chicken is used not just for the main course but also for the pasta filling and a flavorful stock. 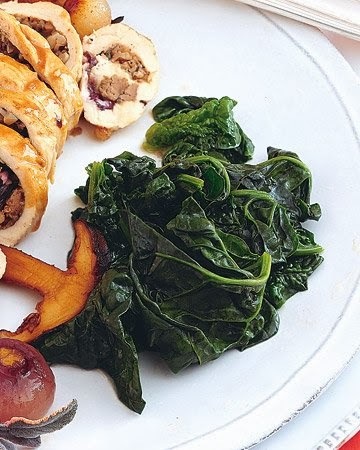 The spinach is ready in minutes. 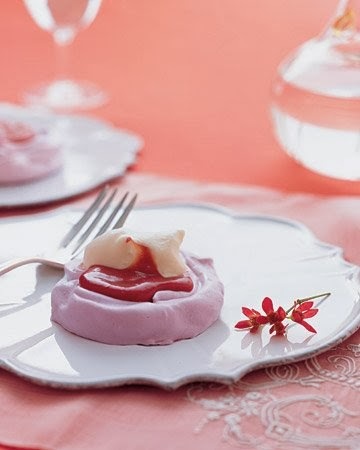 For dessert, whip up individual Pavlovas, cloudlike meringues tinted raspberry pink and topped with berry curd and cream.